The Southern German Apple Cake is a specialty from the South of Germany and is different than other apple cakes featured on this website. 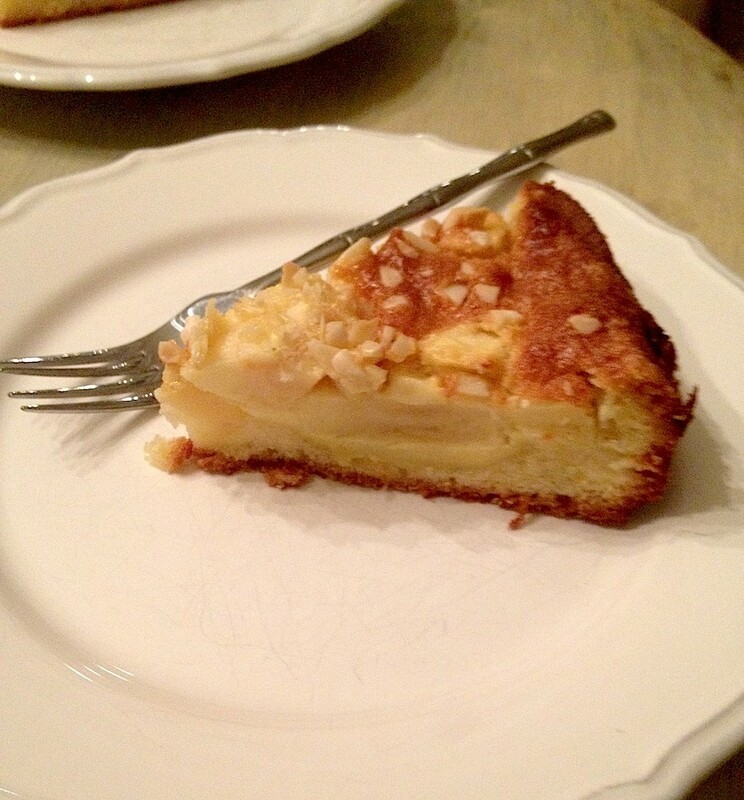 This German apple cake is awesome for any Kaffee and Kuchen table, for the holidays, for birthdays and festive occasions. The apples are covered in a creamy filling and will be placed on a light dough. It is easy to make. Even baking beginners will succeed. Try it out and let me know how you liked it. Happy Baking! - grease a spring form and sprinkle with bread crumbs. - melt 125 g butter, let cool off a bit. - beat 2 eggs with 75 g sugar until creamy. - mix flour with baking powder, add to egg cream, swiftly mix it then add the butter. - fill dough into form, then place it in the fridge for 15-30 min (butter needs to get firm). - peel apples, remove core and cut in slices, mix with lemon juice to prevent that they become brown. - soften butter and mix with powdered sugar and pudding powder or starch, add vanilla. - separate 3 eggs, beat egg whites until firm; add eggs to the cream, mix it gently, add apple slices and mix it. - take the form out of the fridge (the dough should be firm), make an edge of 1.5 inches, gently press the dough around the spring form. - add the apple cream. - sprinkle it with chopped almonds. - bake for 55 minutes, cover with foil if it should get brown. - dust with powdered sugar if you like before serving. Serve it with whipped cream.